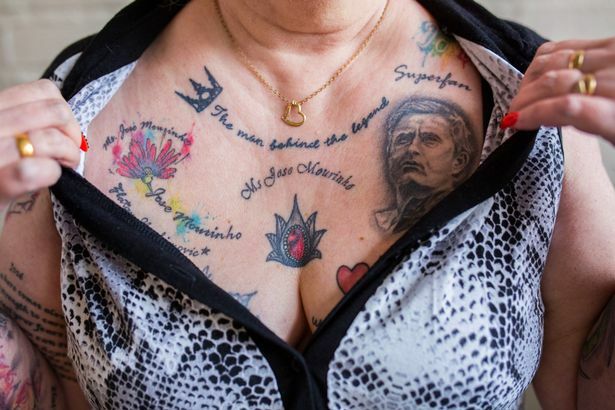 Vivien Bodycote, aged 59, a grandma has covered large portions of her body with about 20 tattoos of the Manchester United manager Jose Mourinho, she admits to being addicted to the ‘Special One’ and gets weak at the knees at seeing Mourinho in the back pages and has dedicated her body to him. 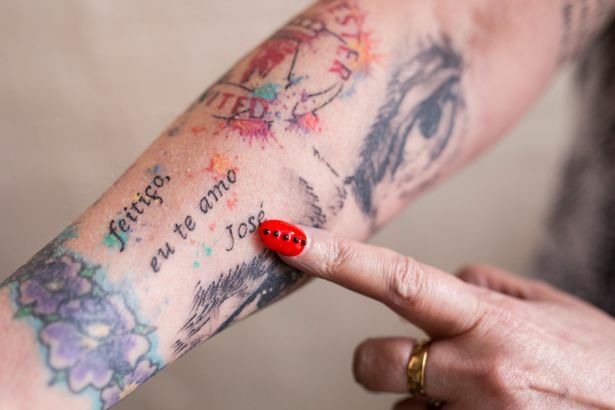 Viv’s husband Tony, 76, who retired from working with concrete over a decade ago has splashed £800 of his pension on tattoos of Jose’s face all over his wife’s body. 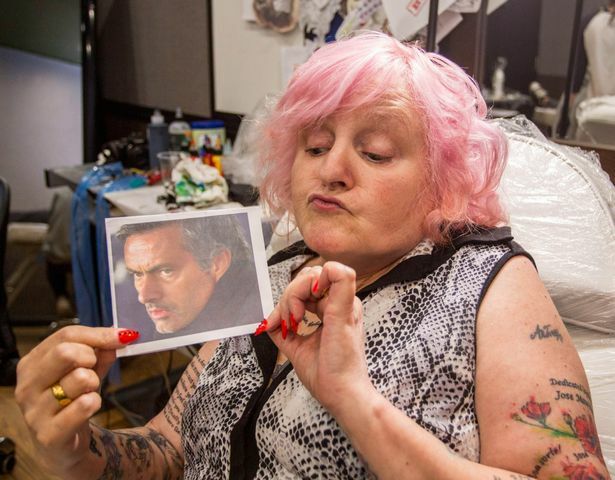 “I rarely go into town and not come back with another Jose tattoo on my body, I must have 20 of just him. He’s not just the special one, he’s the only one. “I would die if I saw him in the flesh and for Mourinho I would cheat. “He’s gorgeous and every time I open the paper and see him I get gooey at the knees.